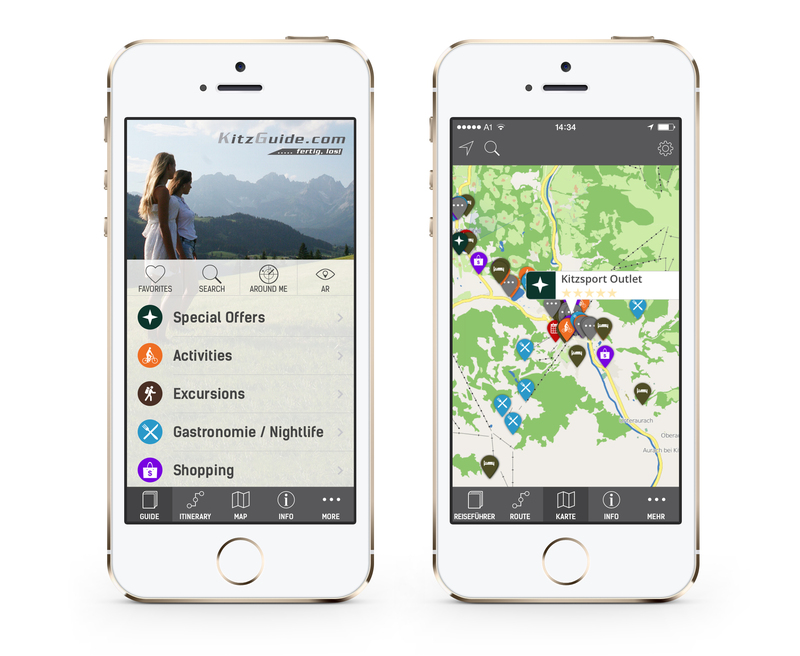 KitzGuide Mobile App is ready to help you hit the slopes and shops in Kitzbühel! mTrip is proud to introduce KitzGuide for iPhone and Android! KitzGuide is mTrip’s latest white label partner and just released their guide for the Kitzbühel region! Located in Tyrol, Austria, Kitzbühel is renown for its world class ski resort. Situated in a valley, there are 56 cableways and lifts servicing 168 kilometers (104 miles) of slopes!!! With the KitzGuide app, you can navigate your way around town and view the lifts using the 100% offline maps and navigation. The region is packed with other activities for the active type with 120km of mountain bike trails, 500km of hiking trails, tennis courts, golf resort and so much more! The center of the medieval town is mostly car-free and lined with top shops, restaurants and cafés which can be discovered in the travel guide! KitzGuide also provides a great collection of suggested itineraries highlighting various themed daily itineraries such as a four day golf tour or a fun sports tour to maximize your fun in the snow.